When it comes to WordPress SEO plugins, Yoast SEO is the gold standard. But despite its general ease of use, things can still get a bit hazy when it comes time to configure Yoast SEO, especially with respect to the advanced settings that the plugin initially hides from view. 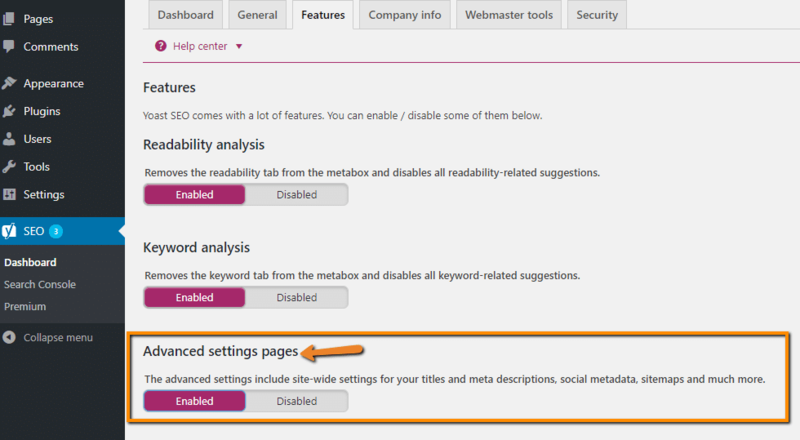 To remove that haze and give you some clear skies when it comes to your site’s on-page SEO, I’m going to spend this post showing you how to configure Yoast SEO basic and advanced settings, complete with plenty of screenshots to make it easy to follow along. 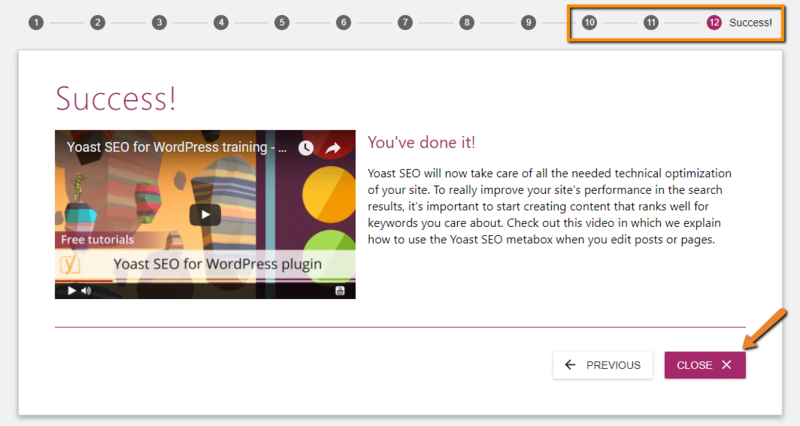 If you prefer learning via video instead of text, the 15-part Yoast SEO plugin course from WP101 is also a great option to learn the ins-and-outs of Yoast SEO. 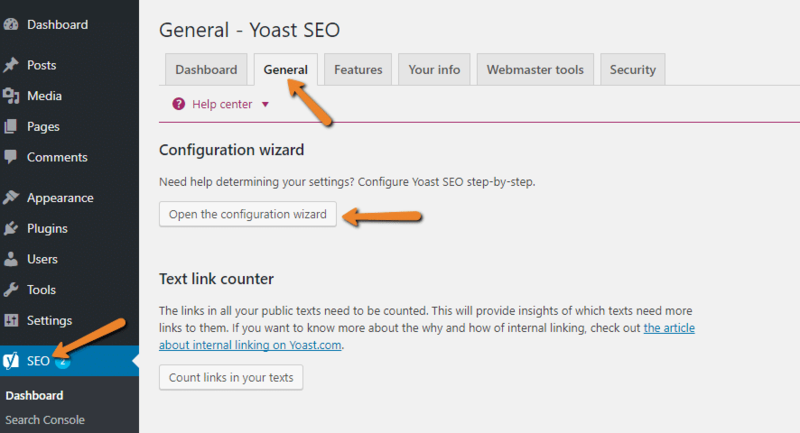 When you first install Yoast SEO, the plugin prompts you to run through a basic website setup wizard. If you don’t see this prompt right away (this happens sometimes), you can access it at any time by clicking on the SEO link in your sidebar and going to the General tab. 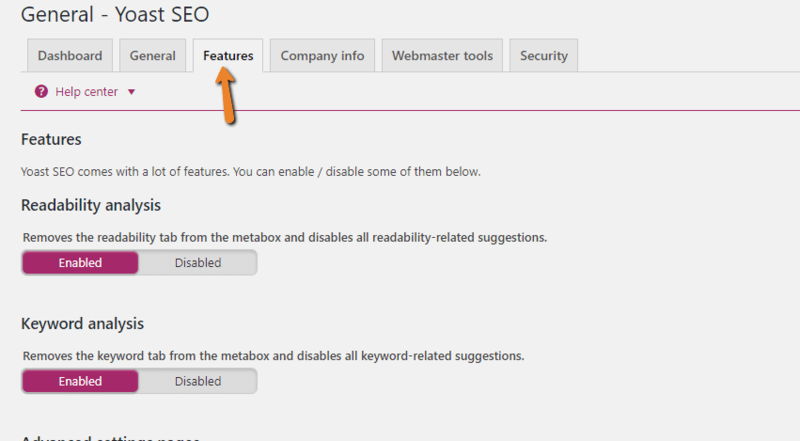 Then, click the Configure Yoast SEO button in the welcome screen to begin the configuration process. I’ll show you how to do things yourself – but if you’d rather outsource the setup, one option is to hire Yoast to do it for you. Or, you can always hire us – we’d be happy to do it! In the Environment tab, you’ll almost always want to choose Production (a live site with real traffic) unless you specifically know that you’re working on a staging or development site. If you’re creating a personal site, choose Person. On the other hand, if you’re creating a site for a business entity, click on Company. This step is entirely optional. 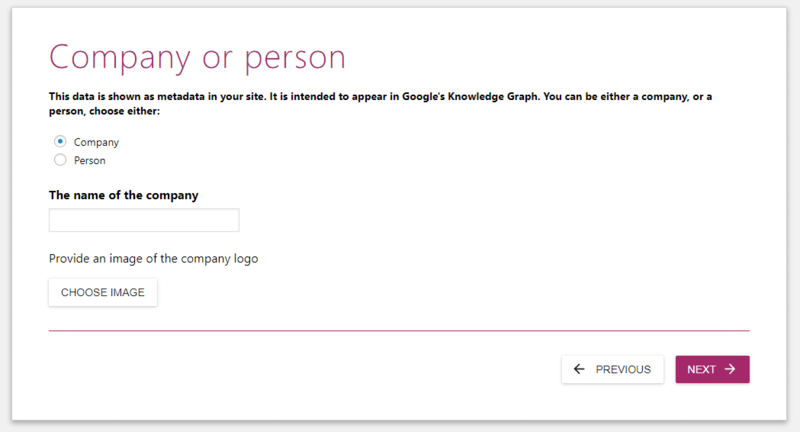 If you want to allow Yoast SEO to display Google Search Console information in your WordPress dashboard, click the Get Google Authorization Code and complete the authorization process. Your “Title” is the bit of text that displays as your site’s headline in Google search results. 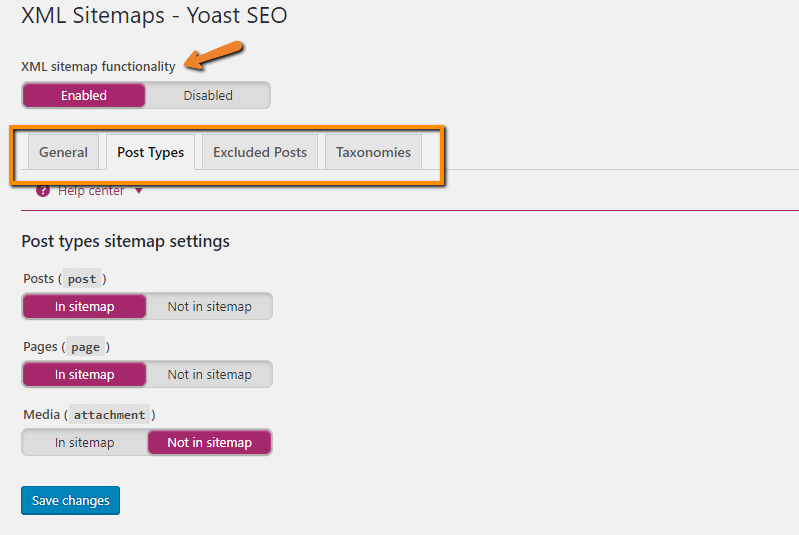 Once you go through the basic setup wizard, you can enable or disable specific Yoast SEO features by going to the Features tab. 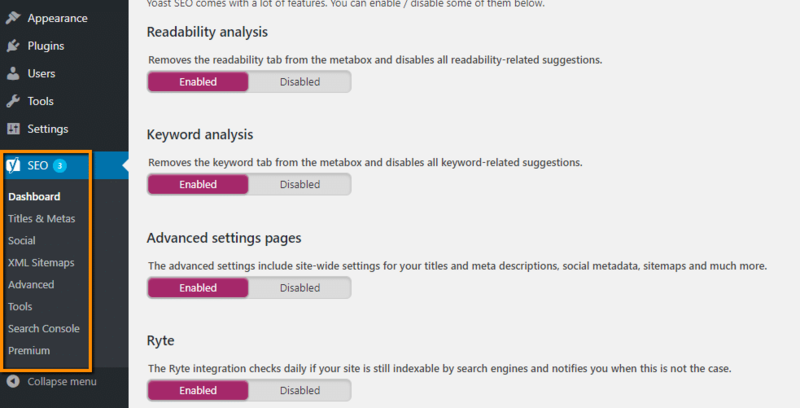 By default, Yoast SEO tries to help with both Readability and Keyword Analysis. If you want to disable one or both of those features, you can do that here. I’ll cover how to use these tools in a separate post. The plugin explains what each feature does, so you should have a good idea of exactly what you’re enabling and disabling in this section. 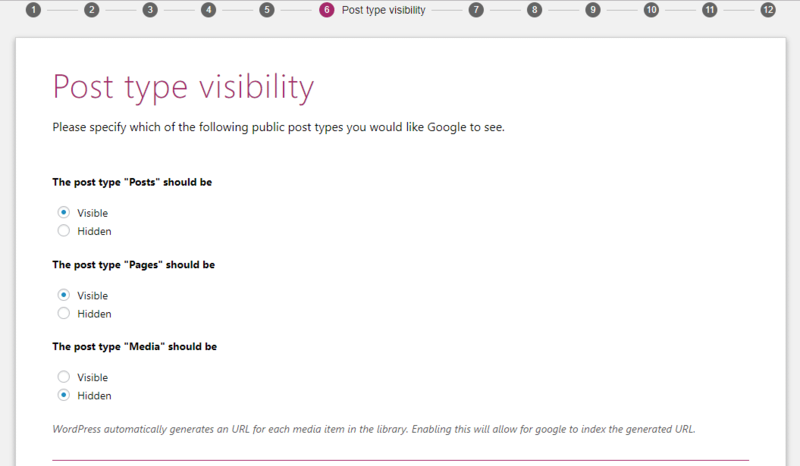 So far, Yoast SEO seems pretty basic. That’s because the developers made the decision to hide most of the more specific features behind a concealed Advanced settings pages area. Here’s what all of those new tabs do. In the Titles & Metas area, you can choose the default title and description structure for all of your various post types and taxonomies, as well as whether or not to index each type of content. 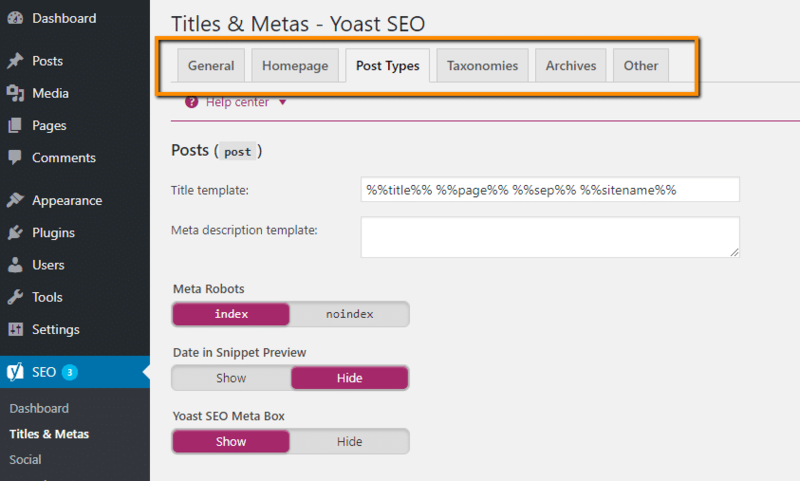 What makes Yoast SEO so powerful is that you can mix and match variables in your Title and Meta description templates to save yourself a ton of time, especially if you’re working with large amounts of content. You can always modify the structure for individual pieces of content, so don’t worry about Yoast SEO forcing you to use these templates for everything. 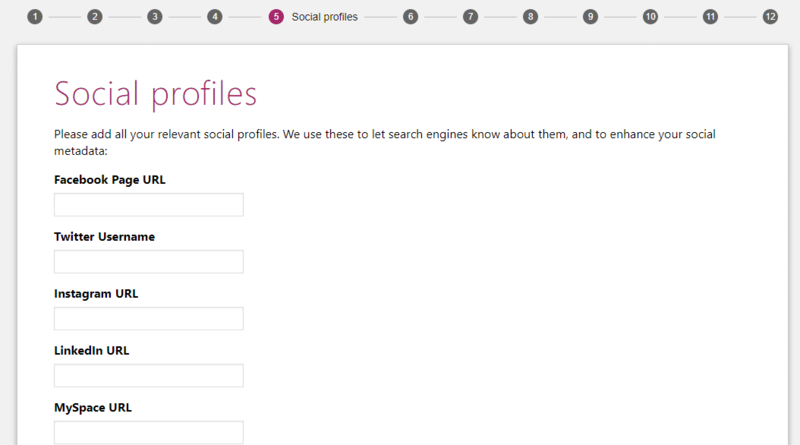 In the Social area, you can configure advanced information about various social networks. These settings help you customize how your website looks when it gets shared on social media. You can also customize this information for each individual post or page, which I’ll cover in a future post. You can always access your sitemap at “yourdomain.com/sitemap.xml” or by visiting the XML Sitemap setting. And it’s a good idea to submit this sitemap at Google Search Console. In the Advanced area, you can configure a few different settings that aren’t worthy of their own section. 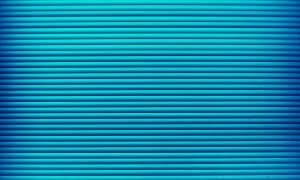 Breadcrumbs – the plugin can help you add breadcrumbs to your site, though you’ll need to add a PHP snippet to your theme’s template files to make it work. 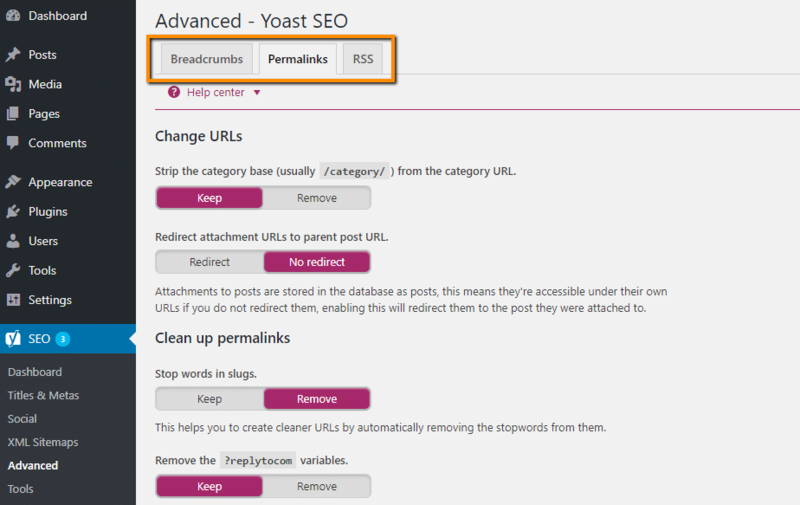 Permalinks – you can make changes to your permalinks like removing the category base slug from category URLs and choosing how much you want Yoast SEO to clean up your permalinks. Leaving the default option to Remove stop words in slugs is usually a good choice. RSS – you can add content to your RSS feed that appears before or after the post content. This is an advanced feature that helps ensure you get credit for your content, but make sure to use it carefully. 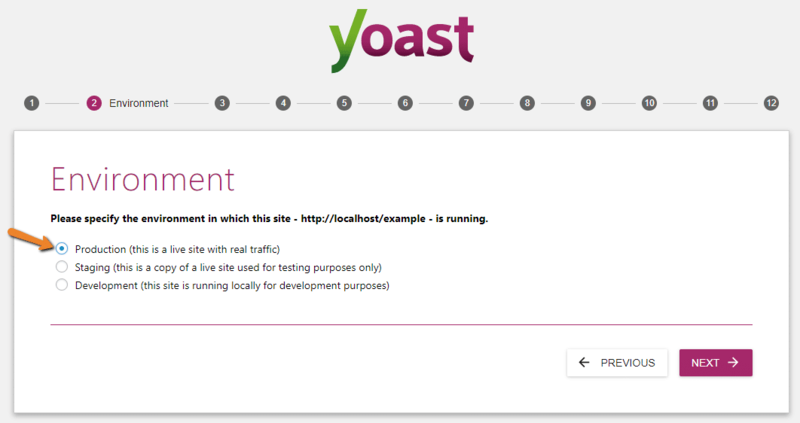 And that wraps up the basics on how to configure Yoast SEO. While the plugin does technically work out of the box, you have a great deal more control over your site when you take advantage of the advanced settings. 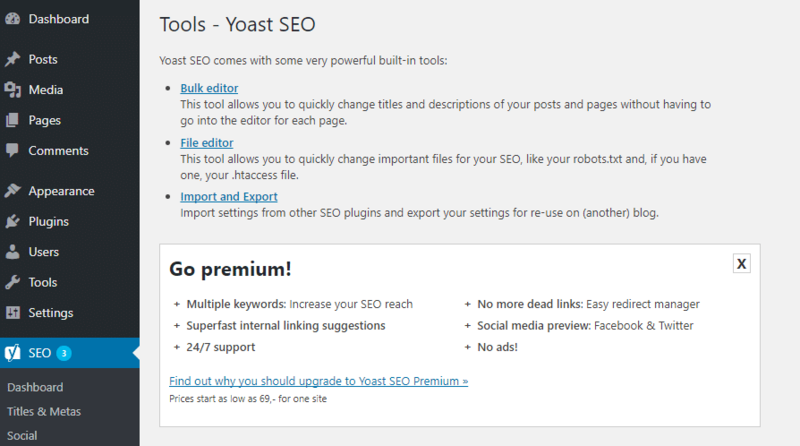 These settings are not the end of Yoast SEO, though. 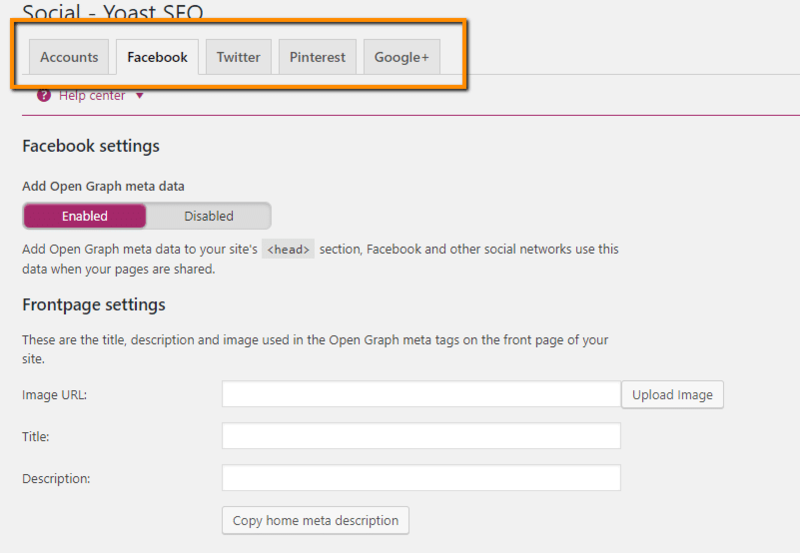 In the next post in this series, I’ll dig into how you can use the Yoast SEO Meta Box to configure SEO and social settings for individual posts and pages on your site. I hope you found this post helpful and are ready to dive in and configure Yoast SEO!